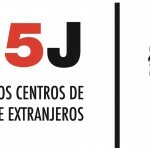 Centro de Investigaciones en Derechos Humanos (CIDH) PRO IGUAL is a non-profit non-governmental organization based in Almeria, Spain. 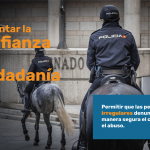 It was founded in the beginning of 2009 and officially registered with the Spanish Ministry of Interior in July 2010 with an NGO registration number nº 595496.
social and political participation in society for all. In accordance with our mission, we focus our efforts on empowering persons belonging to vulnerable categories to know and defend their rights. In limited cases, we directly assist individuals who find themselves in a situation of discrimination or related violations of human rights. We also carry out advocacy on the national, European and international levels to draw attention and put a stop to some of the most eggregious human rights abuses when we encounter them. Please visit the Projects section to learn more about our work, or write to us at infoATproigual.org for information or advice. We do not charge any membership fees nor depend on any governmental funding, we do welcome new members and appreciate volunteer contributions and assistance. If you would like to get involved, please contact us!